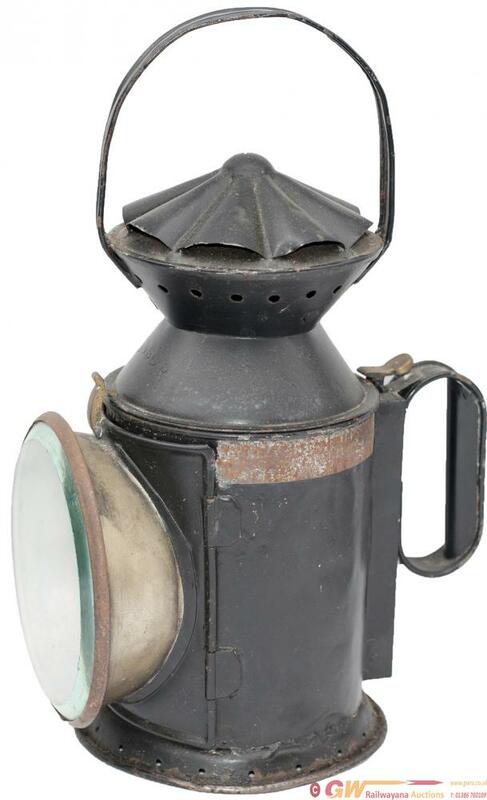 LBSCR 3 aspect handlamp stamped LB&SCR on the reducing cone, side and brass front catch, also stamped in the side B1116 BISHOPSTONE. Complete with SBR reservoir SR burner and all glasses intact. Nicely Restored.